We provide off-lease RV sales in Denver, Colorado. Largest selection of unique, high-quality, light-weight, off-road and off-grid campers and tent trailers in the U.S.
All Fleet Vehicles on Sale! Largest Discounts of the Year! Don’t Miss Your Best Opportunity to Save! RV dealers in Denver are conglomerating more and more into large, national chains. These dealerships have a tendency to cut corners on the customer experience in order to maximize their bottom line. We believe we’ve been able to thrive in this environment because we put the customer first. If you’re looking for travel trailers for sale in Colorado, you’re probably looking for some of the highest quality options on the market. The terrain surrounding Denver can be extremely hard on any vehicle, so you need a product that can stand up to the punishment. We listen carefully to what you’re looking for and match you to the best option possible. We believe that making you happy will keep you coming back, and selling you what you don’t need will only lose your business in the long run. Some of our customers travel in their RV’s full time. There is currently a growing trend of what is known as “digital nomads.” These are people who are able to work remotely for their job and therefore have the option to be constantly on the move. For situations like this, buying a new motorhome is an important decision. When the vehicle goes from being a vehicle to becoming a home, the emphasis on quality goes up dramatically. If you will be making extremely long trips or plan to live in your unit full time, you will want to see our lineup of RV’s that are built to our standards. Our knowledge and experience will help you make the selection that will work best for your situation. We have several models of motorhomes that are up to the task. Our inventory of campers for sale is one of the most option-packed in the state of Colorado. We import only the best products on the market from all over the world. Campers in Denver have a need for quality equipment that is unlike any city in the country. Because of this demand for quality, we make it a point to establish relationships with the top manufacturers on the planet. It’s easy to find a simple pop-up camper for sale that is built for standard camping terrain. However, we put an emphasis on units that can stand up to the punishment of the Rocky Mountains’ extreme environments. All so you can get out there and have the adventure of your life. 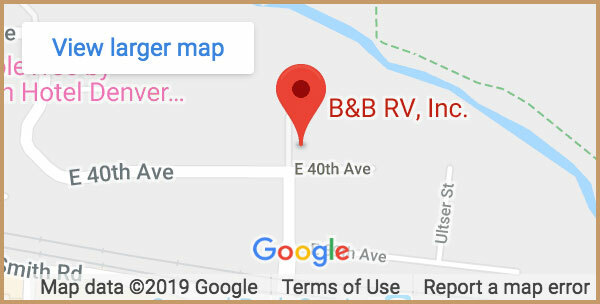 B&B RV, Inc. strives to be a quality RV dealer serving our customers with the products and the service to earn their business as well as that of their friends and family. We are in the recreational vehicle business because we have years of experience using and living in RVs and would like to share our knowledge and excitement of the RV lifestyle with others who are interested in the RV Lifestyle. B&B RV, Inc. offers dependable and high-quality RV sales in Denver, Colorado. The Ecocapsule Microhome is the perfect solution for any off-grid traveler. It is specially designed for mid-term living and camping. It contains a dual system of energy production that includes wind and solar technologies. The Ecocapsule Microhome also collects and filters rainwater for safe consumption. 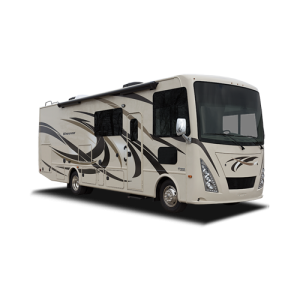 At B&B RV Inc. we carry fully maintenanced Class A RVs available in Denver, Colorado. 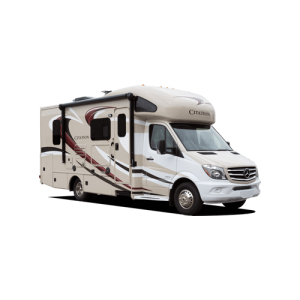 At B&B RV, Inc. we carry fully maintenanced Mercedes Diesel RVs available in Denver, Colorado. 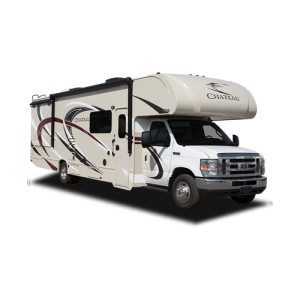 At B&B RV, Inc. we carry fully maintenanced Class C RVs available in Denver, Colorado. At B&B RV, Inc. we have a fleet of high quality and regularly service vans available for sale in Denver, Colorado. Designed and built by Into The Wild Overland in Colorado, the Boreas series trailers are a true off-road and off-the-grid camper. The Boreas series trailers have heavy duty Tibren Axel-Less Suspensions, steel frame and oversized all-terrain tires. Black Series Caravan Trailers are a perfect mixture of luxury, strength, and durability. Each of the Black Series Caravans come equipped with a toilet, shower, and kitchen. The compact design is perfect any off-grid traveler or family vacation. Our lineup of tent trailers are perfect for any travelers’ budget. for sale from past purchases and trade-ins.